A car has hundreds of rubber bushings that help absorb harshness and vibration. 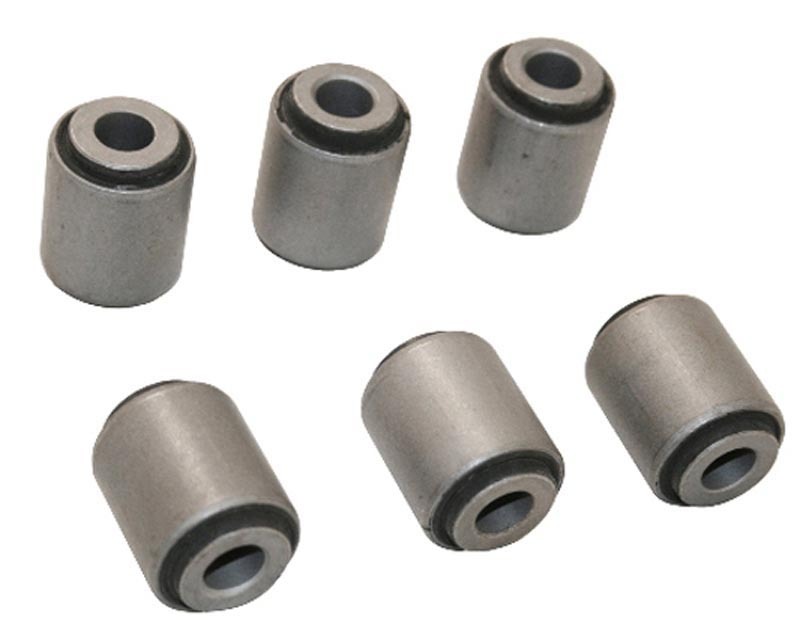 These rubber bushings flex and over time begin to deteriorate. They also can reduce a cars responsiveness and feedback because of the excess movement they allow. Megan Racing introduces their new factory replacement style bushings. Megan Racing��_s bushings feature hardened rubber so they have less flexibility, and give the car more handling response. This will also let you replace those old, worn out bushings. This will require professional installer for proper fitment. Installation needs to be pressed in.